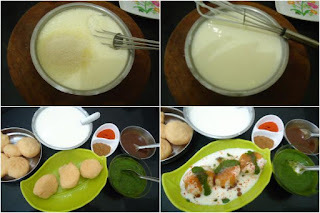 I know I am hear after a long time, between this time I tried so many new dishes and I explored my self in baking too but couldn't get time to post but I Promise you guys whenever i will get time I will do. 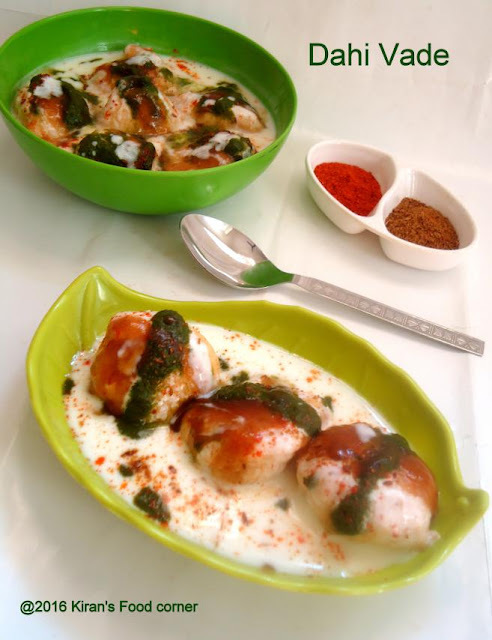 Dahi bhalle / dahi vada is famous chat of north India, basically from Delhi,We used to make it on festival time specially on Holi. So dear friends Happy Holi Try this chaat enjoy and share with us. 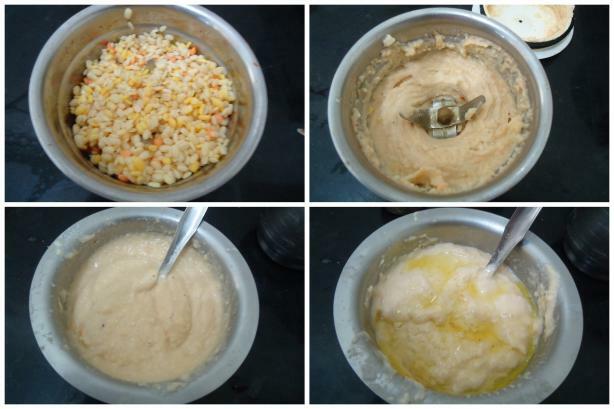 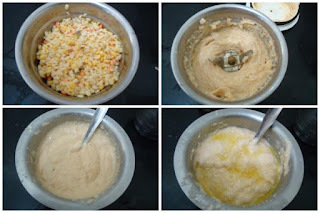 Grind urad dal in mixer into a smooth paste , if required use water . Mix salt and 2-3 tsp hot oil in vada mixture keep aside. 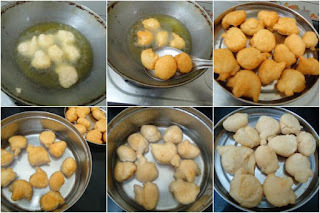 Heat the oil in a deep pan and deep-fry vadas on low flame till they turn light golden brown in color from all the sides. 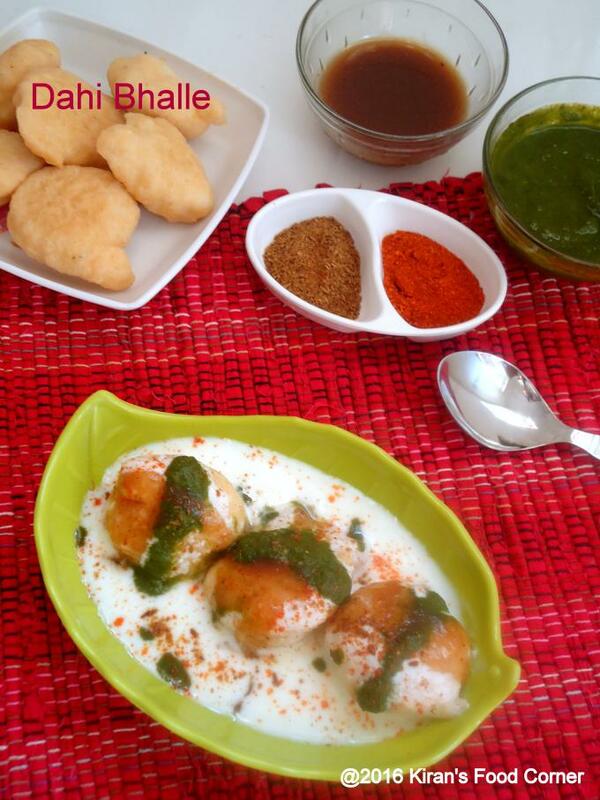 Take enough water in a deep bowl and soak the vadas in it for 15-20 minutes. 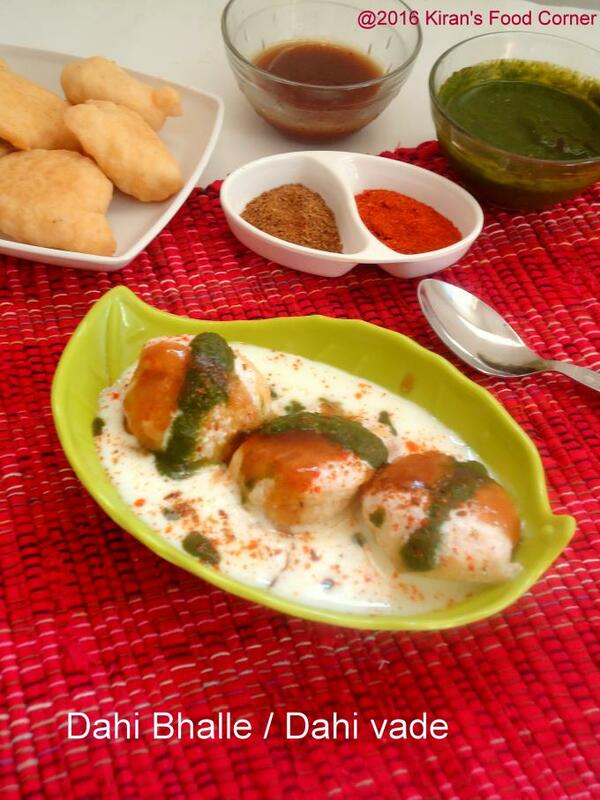 Arrange vadas on a serving dish and top with the sweetened curd mixture. Top with a little chilly powder, 1 tbsp of tamarind and green chutney, a little cumin seeds powder and black salt.